Lerato Claps Back After Being Accused Of ‘Trying Hard To Sound White’! 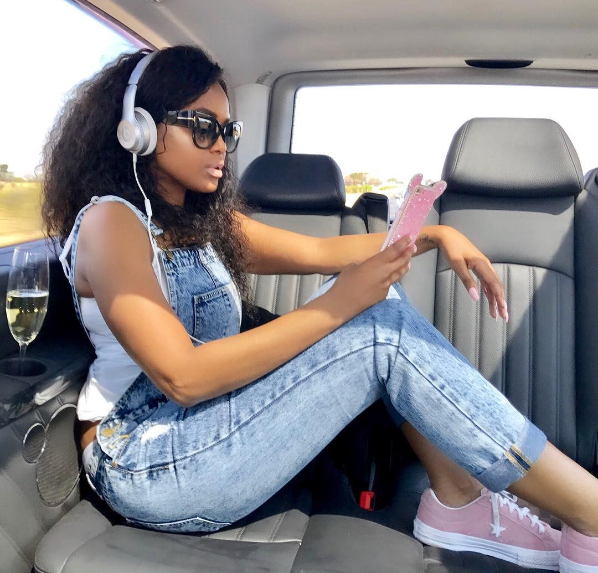 As the rest of the country kicks off Heritage long weekend, Lerato Kganyago was accused of not being proud of hers on black twitter but she wasn’t having it. It all started when Lerato pointed out she cannot clique her tongue as there are no clicks in Sepedi. 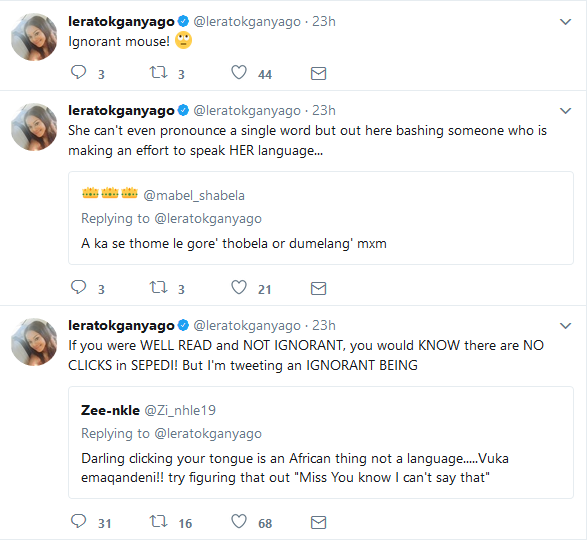 The twitter troll then fired shots at Lerato saying tongue clicking was rather ‘an African thing’. The twitter user then went on to accuse Lerato of trying too hard to sound white. “Ignorance is when a whole black woman tries extremely hard to sound white!! Pedi or not you’re still South African! !,” the troll fired at Lerato. Check out the twar below.